Who Were the Galloway Levellers? Local variations aside, what was the fate of those who were no longer required on the land that once fed them? More than Adam Smith, more than any of the other Enlightenment theorists, it was the ex-Jacobite, James Steaurt, who foresaw their fate. As Marx recognised, ‘He examined the process [of the genesis of capital] particularly in agriculture; and he rightly considers that manufacturing proper only came into being through this process of separation in agriculture. In Adam Smith’s writing’s the process of separation is assumed to be already complete’. Neil Davidson’s quote, that should have been written in fire and blood , comes from Sir James Steuart’s Inquiry into the Principles of Political Economy , first published in 1767. Nearly 80 years earlier, Queen Mary (married to the Stuart King, James VII and II), suggested that, Scotland will never be at peace until the southern parts are made a hunting park . Queen Mary’s remark was made in the context of the ‘Killing Times’ of 1685/6 when her husband believed he faced armed insurrection by the Cameronians in southern Scotland. After the 1603 Union of the Crowns, his great-grandfather James VI and I had pacified the Borders by transporting whole ‘clans’ like the Grahams and Armstrongs to Ireland. Had her husband been able to stay in power, this old Stuart policy of ‘pacification through clearance’ may well have been applied to the Cameronian insurgents. Queen Mary’s remarks were repeated in an anonymous letter in support of the Galloway Levellers published in June 1724. This News from Galloway, or a poor man’s plea against his Landlord, in a letter to a friend, raised the fear that Jacobite landowners in Galloway were pursuing military and political objectives under the guise of economic agrarian rationalisation – the ‘purging of the lands of superfluous mouths’. What seems to have revived the spectre of politically motivated clearance were the actions of one Basil Hamilton. He actively supported the Jacobites in 1715. Lately the said Mr Basil Hamilton hath cast out 13 families upon the 22nd of May instant who are lying by the dykesides. Neither will he suffer them to erect any shelter or covering at the dykesides to preserve their little ones from the injury of the cold, which cruelty is very like the accomplishment of that threatening of the Jacobites at the late rebellion , that they would make Galloway a hunting field, because of our public appearance for his Majesty King George at Dumfries, and our opposition to them at that time in their wicked designs (2) . So were the Galloway Levellers simply acting against local Jacobites? Perhaps to begin with, but soon they were levelling every dyke they found, regardless of the landowners’ political affiliations. Indeed, as I explain below, the Levellers actions forced Jacobite and Covenanter landlords to work together with the Hanoverian state to suppress their uprising. But is there a link from the Galloway Levellers uprising to Sir James Steaurt and hence to Karl Marx? Discussing the Galloway Levellers, Davidson makes the following point. Galloway was part of the south-western heartland of the later Covenanters and, in particular, was the area from which the post-Cameronian sects which succeeded them had drawn their highest levels of support. Some of these sects, like the Hebronites and the MacMillanites, who had been active in opposition to the Treaty of Union, were still functioning and provided the insurgents with an ideological and organisational framework within which to mobilise… (3). This James Steaurt was the father of Marx’s James Steaurt, and was solicitor general of Scotland in 1724, the Year of the Galloway Levellers. But who were these Levellers? Two years ago, when asked this question, on a BBC Radio Scotland series on the Lowland Clearances , I thought I knew. The Galloway Levellers were a thousand strong group of small tenant farmers and cottars who took direct and militant action against local landowners who wanted to clear them from the land. These landowners were taking advantage of the Union of 1707 to breed cattle for export to England in exchange for hard cash. The cattle were bred and then fattened in large enclosures, some up to two square miles in size. Everyone living on the land so enclosed was evicted. In response, through the summer of 1724, the Levellers ‘levelled’ these new enclosures. The landlords tried to stop them, but the Levellers had been drilled by ex-soldiers like Billy Marshall, ‘king’ of the Galloway gypsies, and were armed with muskets, swords, pitchforks and scythes. The only dyke left unlevelled by Marshall and his force belonged to Robert Johnstone of Kelton. This was only saved with the support of William Falconer, the minister of Kelton, bribes of beer and bread, an agreement by Johnstone not to evict any of his tenants and the claim that his dyke was a march dyke built along the public highway. Unable to control the revolt themselves, the landlords called for back-up from the state. Troops of dragoons were despatched and, by November 1724, the Galloway Levellers uprising was over. The ringleaders were imprisoned, fined or sent to the Plantations. No other such uprising occurred, allowing the process of ‘agricultural improvement’ in Scotland to proceed unhindered through the 1760s into the 1830s. The Galloway Leveller’s uprising was therefore only a footnote to Scotland’s history, fascinating for a local historian like myself, but of little wider importance. But then the makers of the series, Peter Aitchison and Andrew Cassell, went on to ask Professor Chris Whately of Dundee University his views on the significance of the Galloway Levellers. He suggested that the Leveller’s uprising had an important and long lasting impact beyond Galloway. The Galloway Levellers had so ‘frightened the authorities’ that the process of agricultural improvement/lowland clearance proceeded more cautiously and slowly (6). Chris Whately’s comments prompted me to research, via the internet, the wider significance of the Galloway Levellers. This led me to Allan Armstrong’s article, Beyond Broadswords and Bayonets in Emancipation & Liberation 5/6 – which connected the Galloway Levellers to the Cameronians – and to Neil Davidson’s book, Discovering the Scottish Revolution , which also discusses the Galloway Levellers. Subsequently, when Allan provided me with back issues of Emancipation & Liberation , I found the following in Neil Davidson’s reply to criticisms of his article. Unless comrades are prepared to engage with primary sources and to interrogate the historical meanings of concepts which they use…there cannot be any real debate (7). These words jolted me. I realised that I had accepted rather than interrogated local historical sources of information about the Galloway Levellers. Nor, until I read Allan Armstrong’s Beyond Broadswords and Bayonets (8), had I thought of the Galloway Levellers as part of Scotland’s revolutionary traditions. Challenged by the debate in Emancipation and Liberation , I have gone back to my local history sources and interrogated them. As a result, my previous understanding of who the Galloway Levellers were has been revolutionised. What began as a short article on the Galloway Levellers for Emancipation and Liberation has so far reached 7000 words and keeps growing. With no conclusion in sight, the following summary of research will have to suffice for the present. The key text from which all subsequent historical accounts of the Galloway Levellers are drawn, including Davidson’s, is a thirty page long article by A.S. Morton (9). Most of what follows comes from following up persons, events and places mentioned in Morton’s text and cross-referencing these with other local historical sources. The absence of commercial agriculture in Scotland meant, however, that whatever other depredations were suffered by the peasantry, clearance had not yet been one of them… The Gallwegian economy was largely geared up towards cattle rearing and in that respect was closer to the economy of the Western Highlands than to that of Aberdeenshire (10). Yet in 1721, when Sir John Clerk of Penicuik visited his brother-in-law, the 5th earl of Galloway, James Steuart (or Stewart), he described already existing enclosures dating from 1684 in Wigtownshire which had involved clearance (11). Although called the ‘Galloway’ Levellers, dyke levelling activities (which took place between March and September 1724) were focused on 6 ‘lowland’ parishes in the Stewartry of Kirkcudbright/ east Galloway. In autumn 1724, some levelling activity spread to Wigtownshire/west Galloway, but this was met with more forcible opposition, including the death of a leveller and the rapid deployment of sufficient troops (an additional 4 troops of dragoons) to quell the revolt in October / November 1724. The military skills of the Levellers, although attributed to the involvement of ex-soldiers with experience in Europe, is more likely related to the raising of a local ‘militia’ in response to the threat posed by the Jacobite rebellion of 1715. According to a contemporary account [Rae, 1718] those drawn from the Stewartry of Kirkcudbright numbered 2000 (out of a population of 20 000) in October 1715. In the previous months (at around 100 per parish) this militia had been armed and drilled on a weekly basis by ‘captains’ appointed by the Marquis of Annandale, as Steward of Kirkcudbright and Sheriff of Dumfries. The one dyke left unlevelled belonged to Robert Johnstone of Kelton , who was one of these ‘captains’. Johnstone was a former (post-1689) provost of Dumfries and his lands at Kelton in theory belonged to the Maxwell earls of Nithsdale – long time Stuart supporters and active Jacobites in 1715. (Legally, the Maxwell’s only finally lost ownership of their Kelton lands in 1747.) Robert Johnstone was also an investor in the Darien Scheme. The initial focus of levelling activities were dykes built by the Maxwells of Munches and Basil Hamilton of Baldoon’s lands, near Kirkcudbright. All had been active Jacobite supporters in 1715. Basil Hamilton (related to Dukes of Hamilton) is a key figure. His mother was daughter of David Dunbar of Baldoon in Wigtownshire. Dunbar (died 1686) was first to enclose lands for the cattle trade, circa 1640. He had been a Stuart supporter during ‘Killing Times’ of 1680s. In the 1670s, Dunbar acquired land in Stewartry of Kirkcudbright forfeited after 1660 by Lord Maclellan of Kirkcudbright for his active support in the 1640s for the Covenant cause. The situation was reversed in 1716, when it was the Dunbar estates, inherited by Hamilton, which were forfeit. They were not regained until 1732. Hamilton only avoided execution as traitor in 1716 after intervention by his cousin, the Duke of Hamilton. Many other named landlords, initially on the side of Levellers’ Revolt, figure in Rae’s account of 1715- e.g. Thomas Gordon of Earlston and Patrick Heron of Kirroughtrie. It was Heron who advised landowners not to fight Levellers after noting their military skills. Heron was also a ‘captain’ in 1715 and so had helped train local anti-Jacobite militia of whom ex-members (I strongly suspect) supplied Levellers with their military tactics. Gordon of Earlston was another ‘captain’ from 1715 with deep family Covenanting roots. Although the Levellers’ Revolt may have begun as a limited attack on the property of known Jacobite landlords, the participants moved on to level all the dykes. The threat posed to their interests united both Jacobite and Covenanter, as can be seen from a letter dated 2 May 1724 by the Earl of Galloway to his brother-in-law, John Clerk of Penicuick in Edinburgh [Prevost: 1967: 197] Noe doubt you have heard of Mr Hamilton’s going to Edinburgh with Earlstoune to represent the grievances of our countrie on that score . [ i.e. the activities of the Levellers; the mission being to request that troops be sent]. The physical actions taken by the Levellers were supported by printed pamphlets spelling out their grievances. Dated June 7th 1724, one of these: News from Galloway , or the Poor Man’s plea against his Landlord must have reached Edinburgh, since a twenty page long response was published there by Philadelphus on 1st July. Entitled Opinion of Sir Thomas More, Lord High Chancellor of England , concerning enclosures, in answer to a letter from Galloway, the pamphlet also quotes from a book published by Robert Powell in 1636 (a lawyer belonging to the Society of the New Inn) De-population arraigned, convicted and condemned by the laws of God and Man . This pamphlet caused considerable alarm among the authorities in Edinburgh, and the Lord Advocate went personally to the bookseller to demand the name of the author. An attempt was made to stop the sale of it, but the result was a greater demand for it than before (12). The Lord Advocate then called for a Public Enquiry, which was held in Kirkcudbright during the summer of 1724. Basil Hamilton was infuriated, claiming that Provost Kilpatrick of Kirkcudbright, who led the Enquiry, was a Leveller sympathiser. [I am trying to track down the findings of this Public Enquiry]. Although both Neil Davidson and Allan Armstrong both agree that the Galloway Levellers had the support of, and were encouraged by, radical Covenanting elements (the Macmillanites and Hebronites) local evidence does not fully support this. Hepburn, minister of Urr, in the Stewartry, died in May 1723. Macmillan, who had illegally occupied the parish church and manse of Balmaghie since 1703 with armed Cameronian support, spent little time in Galloway after 1723. This was the year Macmillan’s second wife, sister to Thomas Gordon of Earlston, died. The strongest ‘religious’ support for the Levellers came from Monteith of Borgue who opposed Macmillan and was firmly within the Church of Scotland. Falconer of Kelton was likewise an opponent of Macmillan, but was also suspected of being a Leveller sympathiser. Additional support may have come from Hugh Clanny, a minister at Kirkbean who had been expelled for immorality in 1702. And finally, Morton gives us the names of some of the Galloway Levellers. demolished 580 roods of dykes, equal to £19 6s 8d, in consequence of which the complainer was damnified of her stock of 400 black cattle kept at grassing within said inclosure, amounting to £50 by the loss of mercats; the fences being pulled down obliging the complainer to drive them to some remote place before sunset each night and watch them all night and keep them from straying which hindered them being fattened for which the sum of £50 is claimed, as also for the complainers cattle breaking away and destroying other people’s corn for which the complainer is chargeable, together with the sum of £500 sterling as damages sustained for rebuilding the said dykes (13). My interrogation of the sources continues. However, it would appear that the actions of the Galloway Levellers began as an explicitly anti-Jacobite action, with the tacit support of some former Covenanting landlords. However, they developed in a more socially radical direction, levelling dykes without political discrimination. This is when they met the joint opposition of Covenanter and Jacobite landlords, who called in the Hanoverian state to help crush the rebellion. By this time, even the one-time, more radical, organised Covenanting factions, e.g. the Hebronites and Cameronians, had fallen into political passivity. The levellers had to fall back on their own independent Covenanting traditions and the support of various individuals, who looked with some trepidation to the consequences of the break-up of the old social order. (2) An Account of the Reasons of Some People in Galloway, their Meetings anent Public Grievances through Inclosures in Morton , Transactions Dumfriesshire and Galloway Natural History and Antiquarian Society: 1935, issue 244. (3) Neil Davidson, Discovering the Scottish Revolution , p. 217. (5) H. Reid TDGNHAS , op. cit., p.135, quoting Wodrow Analecta III p. 244. (6) Peter Aitchison and Andrew Cassell, The Lowland Clearances – Scotland’s Silent Revolution, 1760-1830 , p. 49, ( Tuckwell, 2003). (7) Neil Davidson, ‘Unionism’, Progress and the socialist tradition in Scottish history , in Emancipation & Liberation 8 , p. 30. (8) Allan Armstrong, Beyond Broadswords and Bayonets in Emancipation & Liberation, 5/6 , p. 41. (9) A. S. Morton, The Levellers of Galloway , TDGNHAS, Third Series, 1936, volume 19. (10) Neil Davidson, Discovering the Scottish Revolution , p. 216. (11) W.A.J. Prevost:TDGNHAS , 1962/3. (12) A.S. Morton, TDGNHAS , Third Series, 1936, volume 19, p. 247. (13) A.S. Morton, TDGNHAS , Third Series, 1936, volume 19. This year is the 700th anniversary of the death of William Wallace. He was brutally killed at what is now Smithfield Market in London, on the orders of Edward I, the Plantagenet King of England. How is this event viewed today? Whatever the real significance of Wallace in his own time, he has been seen, since the late eighteenth century, as an international icon representing the struggle for national freedom. Robert Burns invoked the memory of Wallace in Scots Wha Hae . This became a favourite song for national democrats everywhere, rather like Bandiera Rossa did for later communists. It has even been said that Napoleon carried a copy of Jane Porter’s romantic novel of Wallace’s life, The Scottish Chief , on his campaigns. Those heroes of the 1848 Revolutions, the Italian, Garibaldi and the Hungarian, Kossuth, both subscribed to the National Wallace Monument at Stirling in 1869 (1). Internationally, Wallace was up there with William Tell and Joan of Arc. However, it was not only national democrats who subscribed to the National Wallace Monument; so too did the thoroughly unionist aristocrats, the Duke of Montrose and the Earl of Elgin. For this was the heyday of the British Empire (2). The Scottish patriotic, anti-democratic and conservative unionist, Sir Walter Scott, had already pioneered a new vision of Scotland’s past. Scott’s Tales of a Grandfather and his historical novels celebrated Scotland’s glorious history. But all this was merely a prologue to the nation’s wider role, promoting the Union and Empire, alongside its partner, England. So following in this tradition, even conservative Scottish lords could claim Wallace as part of Scotland’s historical contribution to a later, heroic unionist, imperial venture. As recently as the Second World War, the eminent English liberal historian, G.M. Trevelyan, author of the History of England , could also echo Scottish patriotic sentiments. Wallace, this unknown knight, had lit a fire which nothing since has ever put out. Here, in Scotland, contemporaneously with very similar doings in Switzerland, a new ideal and tradition of wonderful potency was brought into the world; it had no name then, but now we should call it democratic patriotism (3). Today, unionists are not so confident. The British Empire has almost gone and the future of the United Kingdom is far from certain. There were no official commemorations, either in England or Scotland, on the anniversary of Wallace’s death, earlier this year. First Minister, Jack McConnell, can don his post-modern kilt for America’s new Tartan Day. Such hokum is tolerated if it helps to promote Scottish business in the USA. But commemorating William Wallace today is a much more problematic matter in a Scotland where the latest unionist settlement – devolution – is far from being the settled will of the Scottish people. Instead, it was left to Scottish nationalists to make their unofficial commemoration on August 23rd in St. Bartholomew, the Great Priory Church, next to Smithfield. The supporters of Wallace were attired like imagined 17th or 18th century Jacobite Highlanders. Such imagery was firmly established in the public’s mind in the opening sequences of the 1995 film, Braveheart , starring Mel Gibson. Here, Wallace was portrayed in the ‘mountains and glens’ of his Renfrewshire family home. Ironically, precisely because this year’s ‘Jacobite’ commemoration of Wallace appeared so folksy, with no wider resonance outside Scotland, it could be reported, with interested bemusement, by the BBC TV (4). So, what do socialists have to say about Wallace today? Well, of course, there are plenty of socialists in Scotland, who have very little new to say. They have adopted either a Scottish-British unionist or a Scottish nationalist version of history. In the past, the ILP’s Thomas Johnston, author of a History of the Scottish Working Classes and of Scotland’s Noble Families , could invoke the commoner, Wallace, against the aristocrat, Bruce (5). This was done to underscore the treacherous role of Scotland’s aristocracy throughout history. Scottish novelist and communist sympathiser, Lewis Grassic Gibbon, also supported Wallace over Bruce, for the same reason (6). Today, however, the unionist Left today is largely silent when it comes to Wallace. This mirrors the attitude of New Labour. 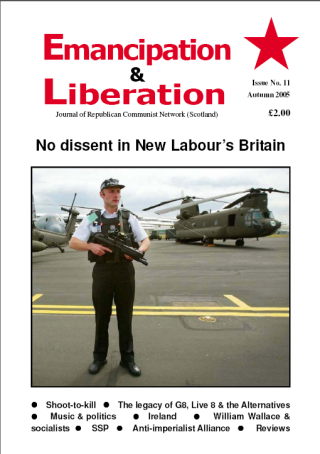 The SWP’s monthly Socialist Review let the anniversary pass without a mention. Perhaps, they feel that socialists have little reason to champion long-past, non-socialist heroes and their struggles. Such a stance ignores Engels’ sympathetic portrayal of the Anabaptists in The Peasant War in Germany , or Christopher Hill’s writings on the Levellers in England, particularly his, The World Turned Upside Down . Or perhaps, they ignore Wallace because he had no declared aim of uprooting feudalism. Meanwhile, hardly aware of their own inconsistency, many of today’s sceptics champion all sorts of current campaigns to bring reforms to capitalism. A few on the Unionist Left, such as Jack Conrad of the Weekly Worker , retreat into pure apologetics, upholding Edward I as a revolutionary centraliser , who opposed reactionary feudal localists like Wallace (7). Such people are unable to see that there would be no real resistance to the depradations of capitalist imperialism today, if it were not for the inspiring traditions and legacies provided by past resistance to oppression and exploitation. Real human beings have not been designed to sleepwalk through a passive acceptance of slavery and serfdom, only to be awoken, under capitalism, to a real consciousness of their current plight and future role by the ‘revolutionary’ Party. Throughout the history of class society, people have always believed another world is possible . Whatever, the traumas and dislocations suffered by the infant working class, under the impact of rising capitalism, they still drew on earlier traditions of resistance for their new struggles. There are some on the nationalist Left who see Wallace in much the same way as the image shown in Mel Gibson’s Braveheart – a kilt-wearing, saltire adorned, English-hating, man of action – ‘a real Scot’. Even in Wallace’s own time, the struggles in Scotland were already intimately linked with events on a much wider canvas. However, today the exclusive adoption of sub-Jacobite (kilt) and specifically Christian (saltire) imagery can hardly contribute to the development of a multi-national Scotland, welcoming the people of many nationalities and religions who live here. Furthermore, the ‘official’ nationalists of the SNP are increasingly making their own accommodation to the British state and the global corporations. They defend today’s Scottish regiments serving British imperialism; just as their medieval, lordly ‘ancestors’ served in Edward’s imperial army, when it was in their interests. It is hard to claim Wallace as an advocate of a ‘devolutionary road’ to independence, so he can be represented as a hothead, whom the nobles unfortunately had to marginalise, before they could attain their own ‘independent’ Scotland. The aristocratic Robert the Bruce is an altogether safer model. We ‘peasants’ today, though, can expect as little from a future SNP-run capitalist Scotland, as those peasants, who lived in Robert I’s feudal kingdom after 1314. If Wallace’s struggles are to have any meaning for socialists today, this means viewing them in a wider context than feudal Scotland. In the late thirteenth century Scotland was already part of a wider ‘international’ economy which centred on Flanders. Flanders had a number of manufacturing cities, such as Ghent, Bruges and Ypres, involved in the making of woollen products (8). High quality wool was produced in the hill country of southern Scotland and exported through Berwick and Leith, particularly to Flanders (9) England, too, was a major exporter of wool to Flanders, but its major production centres and ports, lay far to the south. The English border area was poor, the Scottish border area beyond the Tweed and Esk was rich – it was breathlessly up-to-date in its religious institutions, feudal organisation and military architecture (10). The great Borders monasteries, particularly Jedburgh, Melrose, Kelso and Dryburgh, were to the forefront of wool production for the Flemish market. The Count of Flanders gave protection to the Cistercian Abbey at Melrose to safeguard supplies (11). The woollen industry was the ‘oil industry’ of the thirteenth century in terms of its wider economic and political impact on society. Just as crude oil producers today, unlike most other primary producers, have considerable economic clout; so could the raw wool producers in the Middle Ages. Embargoes on woollen exports from England to Flanders, imposed by Edward I in the 1270s and 1292, (and Edward III in 1336) made their impact felt (12). The development of woollen manufacturing centres in Flanders was such a precocious development, that the first possible signs of a new capitalism were already evident. One consequence of this was that Flanders was wracked by class conflicts. As well as the more typical feudal conflicts of the time, between an aspiring royal centraliser – in this case, Philip IV of France – and the local feudal superior – the Count of Flanders; there were also ferocious class struggles between the city merchants and the artisan weavers. The events which occurred in Scotland after 1296 lay on the interface between a new, rising merchant capitalism, which was contested by feudal centralising dynasties, traditional feudal lords and by minor landholders, peasants and artisans. The two main royal feudal centralisers in north west Europe of the time were Edward I and Philip IV, kings of England and France respectively. However, French was the court language in both kingdoms and Latin the language of administration. Under these kings, both realms had extended their effective control over surrounding territories. Their newly incorporated peoples were quite distinct from the majority in the original core areas of the English and French states. The Welsh and many Irish were brought under the more effective control of Edward of England, whilst Philip of France attempted to do the same with the Provencals and Flemish. In England though, despite some elite intermixing between Norman-French and Anglo-Saxon families, the majority of the population did not form part of a shared English nation with the king and aristocracy. They were legally enserfed and had few rights. 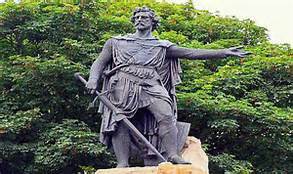 In France, the mixing between Frankish conquerors and the conquered Romano-Gauls had taken place over a far longer period of time. Nevertheless, France was seen as the very pinnacle of the feudal order, with its king and aristocracy holding the lower orders in almost total contempt – so once again, there was no shared nation here. The kings of feudal realms made few appeals to ‘national’ history, apart from constructing dodgy documents making spurious historical claims, mainly to enlist papal support. The most ambitious had wider designs than to be limited to particular ‘nations’, even in the very limited sense these were understood at the time. Edward I was particularly keen to hold on to the Duchy of Gascony because of its wine and salt production. This could be taxed to augment royal revenues. Technically Gascony was part of the kingdom of France, so Edward owed homage to Philip IV for this territory – something he tried to renege upon. Neither English nor French ‘national’ claims could help him here – just good, old-fashioned feudal force. When Edward refused to acknowledge his fealty to the king of France for Gascony, Philip declared these lands to be forfeit. This provoked war between the two realms in 1296. It also led to a sharp turn in Scotland’s fortunes. Much has been made of how Edward had inveigled himself into the position of arbiter, over the respective claims of two Norman-Scottish families, the Balliols and Bruces, to the throne of Scotland, after the death of Alexander III in 1286. At the time, though, all the major aristocratic families in Scotland accepted Edward’s ruling, made in 1292. Many such families held land in England (and indeed elsewhere too) as well as in Scotland. They wanted to hold on to this. So, an acknowledgement of Edward’s power made sense to them. This was particularly true of the Bruce family, who loyally served Edward, whenever it appeared to advance their interests. Once John Balliol was officially recognised as King of Scotland and had accepted his subordinate position, it made little sense, except to the most out-of-favour lord, to mount any challenge. This would lead to an automatic loss of their feudal rights and commit them to opposing not only Balliol, but Edward I. Faced with a war with France though, over Gascony, Edward stepped up his demands on Scotland’s king and nobles in 1295 (13). He wanted an armed levy to serve with him in France. This placed many, including Balliol, in a quandary, since they also had land in France, which they held in feudal obligation to Philip. Many English lords were placed in a similar position when called upon to fight in France. Edward’s war was not popular. Balliol, urged on by some Scottish nobles, decided to defy Edward. Edward, now also facing mounting internal opposition in England, was not pleased. He decided to take much more direct control of affairs in Scotland. This brought him into conflict with a number of the more traditional upholders of the Scottish feudal order – the Norman-Scottish and Gaelic aristocratic families. Others however, including Robert the Bruce, with greater feudal pretensions, saw their chance to replace these families, by showing their adherence to Edward. Edward invaded Scotland in 1296. He sacked Berwick in a three day rampage which led to a great loss of life (14). This was designed both to create panic and to break Scotland’s independent trade links, particularly with Flanders. Berwick, Scotland’s premier port, at the time, had to be brought under Edward’s direct control to enforce his taxes on the rich wool trade of the Tweed Valley. The population of Berwick was replaced by incomers from England. Berwick was to form the new royal administrative centre for Scotland. The war was quickly finished after the ill-prepared feudal resistance of some Balliol-supporting, feudal lords at the Battle of Dunbar (15). Edward was now free to exert his own dominion over all of Scotland, including the Highland north. This way, he could commandeer military support for his continental wars and finance them by collecting more taxes. This meant imposing his own men, especially sheriffs, upon the main towns. Although Edward remained very much part of the wider French-speaking aristocratic feudal culture, he was prepared to promote non-aristocratic Englishmen as his royal servants, partly to undermine other over-ambitious French-speaking lords. In this manner, individuals, such as the notorious sheriff, William Heselrig, took office in conquered Scotland. The hybrid Norman-Gaelic kings of Scotland had also long been pursuing their own feudal centralising policy. This was done to break the power of local Gaelic and Norse-Gaelic chieftains, and even some of the Norman-Gaelic lords (who ‘had gone native’), particularly in the Highlands, the Western Isles and in Galloway. The kings of Scotland had been even more ‘ecumenical’ in their choice of royal officials and servants – including Norman-French and loyal aristocratic Gaelic families, the ‘native English’ of the Lothians, their Northumbrian English kin and also the Flemish. What was different about the new English officials in Scotland (with their military backing), though, were their onerous demands and their overbearing and arrogant demeanour, as they acted on behalf of Edward I.
Wallace, initially with only a small following, began to challenge Edward’s officials. He emerges on the pages of history, when he killed Sheriff Heselrig of Lanark in May 1297 (16). Lanark was a significant centre of the wool trade. Heselrig was holding a court session, imposing penalties on those who failed to meet the new demands. Farmers would also be coming to market where they would have to pay Edward’s detested wool tax – the prest (17). Wallace was an astute strategist. He knew how to win popular support. Although there were other centres of opposition, it is significant that Wallace, a social inferior by feudal rules, emerged as co-leader of the resistance to Edward’s regime, alongside the aristocratic Moray. There had to be a very powerful reason why jealously-guarded, feudal protocol was set aside to award Wallace such a position. Wallace’s theatre of operations was mainly in the most economically advanced part of Scotland, particularly its wool-producing areas. Furthermore, by drawing on support from townspeople and peasants, he was able to move beyond the more traditional, non-feudal, guerrilla tactics of the kindreds and outlaws. Wallace was prepared to challenge the previously near-invincible, elite ‘Panzer divisions’ of the feudal order – the mounted, armoured knights. This was revolutionary warfare. To do this Wallace resorted to the schiltron formation, based on pikemen foot-soldiers, drawn from the lower orders. Edward’s army, led by John Warenne, the Earl of Surrey, was smashed at Stirling Bridge in June 1297, by a combination of a wild Celtic charge and the disciplined use of pikemen, with only limited aristocratic support. The pikemen sealed off the bridge over the Forth to prevent the bulk of Edward’s army joining their separated and isolated brothers-in-arms, who had already crossed the river. Amongst their body was Hugh de Cressingham, another haughty royal official – the Treasurer of Scotland, responsible for all Edward’s hated taxes. Edward had already sacked Berwick, killing thousands of its inhabitants, to make his political point. Wallace, in turn, allegedly had Cressingham skinned, after locating his dead body on the battlefield (18). This was probably done to strike fear into Edward’s placemen in Scotland. As a result of this stunning victory, Wallace became a knight (who performed this ceremony is not known, since Balliol was by now living in exile in France) (19). Wallace also became Guardian of Scotland, something previously reserved for earls, barons or prominent churchmen (20). He must have represented new forces asserting their power for the first time. Wallace’s declared aim was to restore John Balliol as King of Scotland. This has persuaded some that he offered no real challenge to the existing feudal order. However, the problem Wallace faced was that he still needed an armoured, mounted force, to supplement his pikemen footsoldiers. They were required to ride down enemy archers and crossbowmen. The only mounted force, existing at the time, lay amongst the nobility. The one hope he had of winning some of their numbers to his side, was by playing the legitimacy card. However, there was also another useful purpose served by this appeal. Balliol was absent and in no position to give out any orders. This left Wallace with a free hand to pursue his own strategy. One of the few historical documents dating from this period is a letter, in the names of Wallace and Moray, dating from October 1297, appealing to the merchants in the Hanseatic port cities of Lubeck and Hamburg, to reopen trade in wool with Scotland (21). This letter underlines the importance of the economic motivation behind the struggle with Edward. It also points to the continued role of the merchants of Scotland in this war. Another possible reason for the appeal to Lubeck and Hamburg, was the further disruption to trade caused by Edward I’s presence in Flanders, as an ally of its Count. This development, following on the sacking of Berwick, and the difficulty of making sea journeys to Flanders past the hostile English coastline, perhaps forced the new regime in Scotland to concentrate on more northerly trade links. Later, Flemish merchants, who opposed the Count, conducted trade with Scotland in defiance of Edward (22). The Count of Flanders was in a similar position to the feudal leaders in Scotland. They were defying their feudal overlord, Edward of England; he was defying his, Philip of France. And, just as Edward gave his support to the Count, Philip gave his support to those resisting Edward in Scotland. Although Edward provided more support to his ally, by leading an army into Flanders, it did not fare well against the French. This, and the major setback at Stirling Bridge, led Edward to a truce with France (23). Both Edward and Philip now wanted a free hand to deal with the problems on their respective northern borders, without other distractions. Wallace knew full well that his victory at Stirling Bridge would bring down the wrath of Edward. Therefore, as well as attempting to restore trade, he made military preparations. The first thing was to overawe and intimidate Edward’s fifth column of Scottish noble supporters (24). This meant attacking their castles. Wallace tended to rely more on minor landholders, such as Alexander Scrymgeour, to hold such garrisons (25). However, the other major task was to lay waste to the north of England. Northumberland and Cumberland were already quite poor. Edward’s army could only operate in the summer season and provisioned itself on the march. Wallace’s aim was to create maximum area of devastation possible, between Edward’s southern-raised army and the richer Scottish borderlands. He launched ferocious attacks over the winter of 1297 to achieve this aim (26). When Edward’s hungry troops did reach Scotland in the summer of 1298, Wallace pursued a scorched earth policy of retreat to further weaken Edward’s army. Some of Edward’s Welsh troops even mutinied (27). What changed the situation in Edward’s favour was that two of his Scottish allies, the earls, Patrick of Dunbar and Umfraville of Angus, had spies in Wallace’s camp. They betrayed the position of the Scottish army at Falkirk. A second blow was delivered on the battlefield itself, when the Scottish noble cavalry, needed to defend the schiltron formations of pikemen from archers, fled the field. Although Wallace was able to escape, Falkirk was a major defeat (28). Scottish historians are divided on the role of the Scottish nobles at Falkirk. Past Scottish chroniclers, such as Fordun and Blind Harry, have been scathing about the role of Bruce and Comyn, and put it down to aristocratic jealousy, directed against Wallace. More recently, historians of a conservative bent have tried to defend Bruce in particular (29). Yet they provide no positive evidence of his role at Falkirk. The strength of feeling, directed against the Scottish aristocracy, expressed in several chronicles and ballads, comes down the ages, despite all attempts at marginalisation and suppression. What this suggests is that a powerful feudal reaction was building up against everything Wallace represented. Wallace was forced to resign from his position of Guardian of Scotland, to be replaced by the duo of Bruce and Comyn (28). What was the threat that forced these two implacable enemies to join forces? The claims of new social forces, whether merchants, minor landholders and possibly peasants too, would not be welcomed by these nobles. The forging of a new military force, the schiltron, which could break the power of the heavily-armoured, mounted cavalry, could also threaten the nobles’ power (29). After the battle of Stirling Bridge in 1297, it was only five years before the even more remarkable victory of the Flemish weavers (with limited aristocratic support, as well) over Philip of France’s feudal cavalry at Courtrai, in July 1302. The weavers’ leader, Pieter de Coninck, also used closely-packed pikemen to break the French armoured charge (30). In response to this development, Philip sought the active aid of his old adversary, Edward (31). New challenges from below, led to previously undreamt of alliances, the better to defend dynastic and aristocratic power. Reaction was now growing apace. Wallace, after resigning as Guardian, had been given a diplomatic role on the continent (32). This flies in the face of his portrayal both by Edward I – who saw him as a common criminal, and Mel Gibson – who played him as a couthy man of action. What appears fairly certain, though, is that Wallace found such a role unsatisfactory. Perhaps, his encounters with Philip of France in 1299, in pursuit of a renewed Franco-Scottish alliance, undermined any lingering belief in the reliability of high-born allies. When Wallace returned to Scotland, it was as a guerrilla leader, operating from his old base in Ettrick Forest (33). The treaty between Philip and Edward, allowed both to pursue their aim of crushing all opposition. The new Count of Flanders capitulated to Philip in 1304 (34). In the same year, Comyn, as Guardian, submitted to Edward (35). Bruce had already signed up for Edward in 1302, and had his lands attacked by Wallace as a consequence (36). Wallace no longer had any noble support. He was actively hunted down by them, using Edward’s royal warrant. After a number of successful escapes from capture, Sir John Mentieth’s forces finally arrested Wallace at Robroyston, near Glasgow, and quickly handed him over to Edward, for his final trial and execution (37). When Edward I’s successor proved to be weak, a new opposition arose to the King of England. This time it was noble-led from the start. The war fought by Robert the Bruce was a dynastic war. To increase his support he offered lands confiscated from his enemies and new feudal privileges to his noble allies. Certainly, none of the Scottish aristocratic leaders contemplated any extension of rights to classes beneath them. When John Barbour later penned his eulogy, The Bruce, Wallace was not even mentioned. Barbour received a gift and a pension from King Robert II for his efforts (38). However, Wallace’s memory, now safely consigned to the past, was rehabilitated by other Stewart monarchs, in their continuous battles with the kings of England. This Wallace was romanticised and celebrated primarily for his zealous, ‘anti-English’ activities; rather than his struggle against Edward’s feudal imperial regime, his Scottish lordly allies and his English officials. In this particular struggle many of the English living in the Lothians (conquered by the King of Scotland in the tenth century) would have been Wallace’s allies. Nevertheless, despite the aristocratic attempt to write Wallace out of history, he was remembered, particularly by the commons of Scotland. The official ‘Wars of Scottish Independence’ can hardly be claimed as a battle between the English and Scottish nations. It was essentially an intra-feudal war between mainly French aristocratic families. It also drew in Anglo-Norman, English, Welsh, Irish and Gascon troops on one side; and Scots (mainly from the Gaelic heartland of Alba), English (mainly from Lothian) and Gallwegians on the other. Both sides faced desertions. However, into this ‘official’ war, another war intruded itself for a brief period. This war brought new forces – small landholders and city burgesses, perhaps even peasants – on to the historical stage in Scotland. And, as in Flanders, these forces went down to defeat. Wallace was the most important figure in this other war in Scotland. As a result of his undoubted heroic role, Wallace later became an international symbol of resistance against oppression, like Spartacus before and Wat Tyler after. William Wallace, as part of Scotland’s anti-aristocratic, popular tradition, is somebody who can be claimed by socialists today. (2) op. cit., p. 78. (5) Graeme Morton, op. cit., p. 98. (6) Graeme Morton, op. cit., p. 111. (7) Jack Conrad, Unenlightened Myth in Weekly Worker , no. 265. (10) Frank Musgrove, op. cit., p.91. (11) Frank Musgrove, op. cit., p. 93. (12) David Nicholas, op. cit., pp. 178, 187 and 219. (14) op. cit., pp. 25-6. (15) op. cit., p. 26. (16) op. cit., p. 32. (17) Ed Archer, letter to Sunday Herald , 28.8.05. (18) Andrew Fisher, op. cit., p. 55. (19) op. cit., p. 67. (20) op. cit., p. 19. (21) Graeme Morton, op. cit., pp. 29-30. (22) David Nicholas, op. cit., p. 205. (23) David Nicholas, op. cit., pp. 189-190. (24) Andrew Fisher, op. cit., p. 69. (25) Andrew Fisher, op. cit., p. 67. (26) Andrew Fisher, op. cit., pp. 64-66. (27) Andrew Fisher, op. cit., pp. 73-77. (28) Andrew Fisher, op. cit., pp. 77-83. (30) Andrew Fisher, op. cit., pp. 90-91. (31) Andrew Fisher, op. cit., p. 80. (32) David Nicholas, op. cit., pp. 192-194. (34) Andrew Fisher, op. cit., pp. 93-98. (35) Andrew Fisher, op. cit., p. 107. (36) David Nicholas, op. cit., p. 195. (37) Andrew Fisher, op. cit., pp. 108-110. (38) Andrew Fisher, op. cit., pp. 107-108. For me, reviewing a novel rather than writing a conventionally political article for Emancipation and Liberation was always going to be a pleasure. Even more so when it is written by Scottish Socialist Party comrade, John Aberdein. I am a great believer in the power of the novel, not only to politicise and raise awareness, but also as a means of relating theory to practice in fictional situations. People like me who are drawn to fiction find there, not the escapism of the bourgeoisie, but the very essence of the politics as it affects humanity. We see the human condition and can marvel at its bravery, laugh with its humour and grow angry at the horror of its existence under capitalism. Armande’s Bed is that kind of novel. In the tradition of Grassic Gibbon and Mackay Brown, we are drawn into the world of characters who are painfully familiar and who reveal the necessity for Marxist solutions by describing a reality we know to be true. The class system of Scotland in 1956 is not described but lived on a daily basis, She’d never speak to dirt from the tenementsm . Peem, the main protagonist, brings innocence to all the events which provide great humour and insight. As Peem has education thrust upon him, it reveals the absurdity of an education system which was determined to bring about a cultural cleansing by denying the validity of anything relating to working class experience. It is with Peem that we experience the warmth and love (completely un-sentimentalised) in many working class homes. We contrast his life with Spermy whose mother Armande is the sleepyround woman . As the widowed incomer, she struggles to look after her family and is eventually subjected to brutal electrotherapy in a mental hospital. And, as Peem helps his father sell the Daily Worker , the betrayal of the international working class by Stalinism becomes most evident, …its nae me chuckin the Party, the Party chuckin me mair like, that’s what it comes doon till. It’s enough to gar a body greet . It is the language of Armande’s Bed which helps to establish its authenticity. It is beautifully honed and yet Aberdein uses it as a weapon to reveal hypocrisy, injustice and defiance. The laughter we experience in reading this book is only surpassed by the constant feeling of impending disaster which is in itself the nature of life under capitalism. The hope lies in the ability of working class people to survive, unite and become conscious of their destiny. This is the type of book which shows that political education can come in a literary format and one that speaks our language in more ways than one. I had heard about this game and was intrigued, so when I saw the demo on a magazine I installed it immediately. Two hours later I shelled out to download the full version from the maker’s site. Most simulation games involve running a household or a business, a civilisation warring with neighbours or realistically flying a plane. How many allow you to play around with the economy, see the likely effects of different reforms and if you’re not happy with the result: edit the data files yourself, add new dilemmas, policies and situations? Well this one does. A computer game may appear a bizarre way to put across political ideas but most games contain some political elements whether it’s Command and Conquer ’s Cold War conflict to Fallout ’s post-Apocalypse world dealing with the effects of radiation. What stands out about this game is the portrayal of everyday political decisions on people: either by showing the way governments prioritise with taxation or how mild reforms cost peanuts compared to military spending but could have immediate results if the will was there to implement them from those in power. The simulation genre is targeted at a very sophisticated audience, those who like to analyse the game world and work out winning strategies. The full game allows you to run the economy by being the leader of a host of industrialised countries including UK, Japan, Germany, USA, and Russia. It uses a sophisticated neural network to simulate the population and each decision you take reflects on their support of the government. The population is split into various groups: poor, middle earners, wealthy, liberal and conservative, socialist and capitalist, state employed, trade unionists, the retired, motorists, smokers, environmentalists, the religious, and patriots. Each individual can of course belong to more than one group: the socialist parents who like to drink and commute to work whilst the wealthy self employed may smoke and be capitalists. Not to forget the religious organic farmer. The game is a constant work in progress so there are problems with the fluidity between these groups but it manages to put across the concept that people are influenced, in different ways, by different policies. A socialist trade unionist who supports your efforts to increase pensions and NHS funding may be annoyed by high petrol tax. Balance seems to be the driving force of this game: putting political ideas and concepts across in a neutral way and allowing the gamer to see the expected effects of their decisions. From a socialist perspective, the information given can be debatable. Private land is private land. This is the very basis of private ownership and capitalism. If the owners wish to restrict access to their land, this is entirely up to them. This is nothing more than a thinly disguised attempt as class war by disgruntled socialists. Its crazy to have so much open, and often entirely unused, land in private hands while our cities are so overcrowded. This law will allow all citizens to enjoy the beauty of our countryside, whilst retaining the final property rights and ownership privileges of the landowner. It’s a good compromise. Supporting such a law pleases socialists but displeases farmers , while improving equality. However the effect is reversed if it is opposed. The game includes 75 different policies that can be implemented, ignored or modified, including introducing free school meals and reintroducing university grants. Some policies lead to situations , some bad some good. A high rate of asthma means you need to deal with air pollution, hammering motorists means fuel protests. I experimented as a neo-con to see the effects. Hammering the poor results in class war on the streets, to tackle it meant either spending lots of cash fighting the causes of poverty or CCTV on every corner and armed police on the beat. If you attack the poor then assassination by Communist guerrillas is on the cards, similarly, maximising income tax leads to your intelligence agencies detecting plots by the capitalist and wealthy elite to organise a military coup! Each turn you are presented with a different dilemma and have to choose, sometimes the lesser of two evils: Ban animal testing or allow it, ban a fascist march or allow it to go ahead, meet a foreign minister of a country with an appalling human rights record to try and win them over or shun them for their crimes against humanity. I’ve suggested the following: the media claims you’ve gone to war based on a lie and whether you deny or admit allows you to move forward not back on the issue or have it hurt your popularity by way of the voter cynicism in your politics level if it turns out to be true. The measures of success in this game are not just measured in economics or opinion polls, there are other statistics to show how good your society, such as lifespan, literacy rate, crime rate, poverty rate, equality, air quality, car usage, and unemployment. These all show how your policies are affecting society. Decreasing the poverty rate decreases the crime rate as less people are driven to crime, but modifications need to be made. When luxury goods are taxed and Corporations made to pay their fair share, a black market is created and tax avoidance takes place. The crime rate is not affected however! This reflects the reality of capitalist society. In Britain, government spends £millions on campaigns targeting those on the breadline claiming benefits they are not formally entitled to. At the same time, corporate crooks who hide assets in shell companies and offshore tax havens are ignored while they defraud the tax coffers of £billions. A nice addition is quotations to read whilst you wait your turn, including Lenin – Capitalists are no more capable of self-sacrifice than a man is capable of lifting himself up by his own bootstraps ; and Thatcher – A world without nuclear weapons would be less stable and more dangerous for all of us . The beauty of this game is the option for customisation. All the statistics, data and policy effects are included as standard spreadsheet files. Drag the files into Excel, OpenOffice or Notepad and you can modify existing policies or create your own. On the game’s message board fans can suggest their own modifications. I was bemused by the ability to provide subsidies for cleaner fuel, rail networks and bus lanes but allowing private companies to reap the rewards, so I suggested the ability to nationalise the railways and the buses. And the customisation is what takes this game and turns it into an economic model. The opening screen changing from The Queen has asked you to form a government… can quite easily become The workers have taken over the factories… The police force can be modified to become the citizens’ militia and any other policy you can imagine can be tried and tested. As political simulations go this one is the best there is available to date. True, the simulation is of reforms and some of these need tweaking but overall politics are presented unspun and the effects of government decisions are shown in clear terms. For me the most important part is the underlying model and the ability to customise this however you wish. At around 12MB I would recommend anyone interested in politics to give it a try. Given the ability to modify it could even become a cheap and quick way to put across a practical demonstration of economic and political ideas. Forward Wales is in meltdown after losing many of its leading activists including its sole councillor Dave Bithell, the National Secretary and International Organiser. The party’s website has been under construction for the past four months and members haven’t received a newsletter from the Wrexham HQ. Those who quit are citing disagreements with the political direction of the party – specifically a secret deal party leader John Marek struck with the Tories to stand a spoiling candidate in marginal Cardiff North at the General Election – as well as the lack of internal democracy in the party. This has led, they say, to key decisions made at conference being ignored by Marek and a close clique that surround him. They are also disillusioned with Marek’s poor performance in the Assembly, where he has put more emphasis on his role as deputy speaker than campaigning for his new party and winning affiliation from unions such as the RMT. More locally, there has also been dissatisfaction with Marek’s handling of the crisis surrounding the planned redevelopment of Wrexham Football Club’s stadium, in which he has openly aligned himself with disgraced former chairman Mark Gutterman who is hated by fans. The activists who have left are re-grouping locally in the Wrexham Socialist Forum and include a quarter of the party’s candidates in last year’s council elections. Fewer than 100 members remain in the party throughout Wales and the number of activists has dwindled dramatically. Forward Wales was born from an alliance of former Labourites and socialists who were united in wanting to challenge Labour’s unhealthy grip on Welsh politics. Key differences over the national question were fudged – a fatal mistake with hindsight – but it also emerged that revenge and spite was a more powerful driving force for some of the ex-Labourites than any real desire to build a radical political alternative for Wales. Forward Wales, which was almost exclusively concentrated in Wrexham and Clwyd South, managed impressive results in those areas in the council elections – standing candidates in more than half the borough’s seats and gaining 23% of the vote. It also played a prominent role in campaigning against the sale of school playing fields and housing stock transfer, which Wrexham tenants rejected decisively. AM. This led to decisions on candidates being pushed through with no real debate or discussion – what Marek wanted, he got in the end. There’s no doubt Marek was very generous with his money – he stumped up many thousands personally to pay for the Assembly and the Westminster elections. But he failed to realise that real political change is based on building parties between elections – there was never any money forthcoming for that. The national secretary couldn’t even get stamps to mail out to members at times! A picture emerges of key members quitting and many more peripheral members drifting away disillusioned with the party’s failure to build on its early promise. Plaid Cymru is a socialist party that’s clearly pro-independence. That’s a great step forward from Forward Wales’s fudge and muddle. It’s possible FW will limp on to the 2007 Assembly elections, partly because Marek can afford to fund another set of candidates and partly because Ron Davies wants to return to political power. But Forward Wales as a political party is dead in the water, reliant on two fading ex-Labour politicians. Donnie Nicolson, ISM platform member and SSY Organiser, contributes to the debate in a personal capacity. The RCN article in March’s Frontline was very welcome in that it identified and clearly described many dangers facing the SSP, and competently argued the case for a new ‘Marxist pole of attraction’ within the party. The purpose of my article is to try to address the most fundamental, pressing question for all socialists in Scotland: how do we advance the working-class movement, and how do we organise against the dangers of parliamentarism and populism; namely; how do we take the SSP forward into a new era of dynamism and success? As discussion and debate around this subject has gone on, it has become clear that there is significant agreement amongst comrades on what the problems are, and – crucially – what the way forward is. The RCN article explored in depth the problem of ‘Bureaucratic Populism’. This has been a creeping problem, and it didn’t come from nowhere. Had the party membership been on the ball a bit more, we could have predicted it and nipped it in the bud, but in the excitement and momentum of electoral success, it was almost unheard of to criticise the leadership. A look at the role of the SSP sheds some light on this. By combining radical anti-capitalist policies with a credible political force, the SSP successfully attracted the most progressive, radical layers of workers and youth in Scotland. For the first time, the anti-capitalist left was united and going places. Climaxing in 2003, we reached an average electoral support of 7% nationally, and up to 28% in some parts of Glasgow. We were playing an ebullient leading role in the anti-war and anti-capitalist movements. SSP street stalls in communities across the country were buzzing, and our new team of MSPs stormed into Holyrood in a tour de force of anti-establishment politics. 2. Agitate among these workers to radicalise them. This dichotomy faced us from May 2003, but we failed to realise it. In effect, we did neither of these things. Instead, we kept plugging away at our now-tired campaigns, while party morale slipped. One turning point came in 2004, when leading ISM members were behind a move to woo Campbell Martin, a renegade SNP MSP, to our party membership, via some subtle tweaking of our bedrock worker’s wage policy. None of the justification that was given for this proposal eased the minds of many ISM activists, and we were extremely worried that if this rule was bent once, it could be broken in the future. Myself and others could scarcely believe that comrades whom we had trusted and admired were behind such a dreadful error. But such errors are the natural consequence of over-focussing on Holyrood. We argued that under no circumstances must the worker’s wage principle be tampered with, and in any case, recruiting MSPs from other parties is a path littered with dangers. Campbell Martin’s record in the following year has borne that out; a number of pamphlets that he has produced show him to be a non-socialist, and his voting record is poor. Had the leadership of the party had their way, we would have sacrificed our principles for an extra MSP who would have been a liability at best. One positive to come out of this, was that the party grassroots mobilised against the EC and defeated it, and more importantly, convinced several EC members including Alan McCombes of our position. Also alarming was Tommy’s call for convenorship elections to be on the basis of ‘one member, one vote’ in the future, saying that the omission of this in the past had been an ‘oversight’. The continued Posh n Becks -style dramatisation of Tommy’s family life in the media is as depressing as it is puerile and anti-political. This is not the way a revolutionary leader of the working class should behave. This is not mere parliamentarism. Alongside it is a dangerous parallel of personality politics, a kind of mirror-image of the bourgeois parties. Before Lula was elected as President of Brazil, he was canonised by left-wing activists and PT members who hung portraits of him in their houses, and identified the whole movement with him. There was not sufficient understanding in their party of the dangers of idolizing leaders, and as a result, the socialist movement in Brazil has been shattered and demoralised following Lula’s capitulation to the IMF and imperialism. We should pay heed to such lessons. There is a way out of the stagnancy that our party suffers from, but it will require a culture change in the party, and everyone has a part to play in this. The danger is now that as the RCN article says, the party leadership bows under parliamentary pressure and tends towards populism. But what the article didn’t say is how tentatively these actions have been criticised. The leadership of our party is rarely given thorough criticism. When the leadership is questioned or criticised at National Councils and Conferences, the only robust Marxist criticism of the party regularly comes from the CWI platform. Many party activists are suspicious of CWI politics because they tend to be linked to their own agendas, and can sound stuffy and pretentious. We can change this by systematically highlighting and criticising every occurrence of populism or reformism in a fraternal but robust way. In this way, SSP activists can demand more control over every aspect of our party. Revolutionaries face a dual task in a party like the SSP. We must, first and foremost, promote the SSP amongst our class, and become the radical, active and dynamic face of the party. But we must also work hard inside the party, in its branches, structures and networks, to revolutionise those party members who have not yet arrived at a Marxist conclusion. Young comrades who are attracted to the party’s radical stance have little or no access to the kind of political education which older comrades benefited from. This has to change. If party structures are not sufficiently strong to give SSY members a grounding in Marxism, then individual comrades must take it upon themselves to do so. The RCN article also calls for day schools and educationals to take place more often; I support that call. The SSP has huge shortcomings in the subject of members’ education. But again, if the party is not organising these events, we must make more noise about it. This ties in with the problem of trade union affiliation. Why doesn’t the party organise regional day-schools on the subject of rail privatisation, using Alan McCombes’ excellent pamphlet as reading material, and invite all local RMT members to attend? That would be a great way of introducing them to our party and our ideas, and introducing party members to an organised radical workforce. We want rail workers to be a driving force in social change, don’t we? We should not be so slack in our attitude towards them. The SSP is not yet at a political crisis point, but if grassroots revolutionaries continue to be complacent and disorganised, the crisis will bite us. Our party must develop closer and more formal links with revolutionaries abroad. In times of crisis, an objective view can be invaluable. Why are we not developing proper links with the EACL, or parties like the DSP in Australia, and the movements in Venezuela and Bolivia? We have many friends abroad. At a recent event held by the Fourth International in France, I was taken aback at the high regard in which young European Socialists – and the leadership of the FI – had for the SSP, and the way we built our party. With right-wing journalists hovering like vultures, all the establishment parties ganging up on us to suspend us from Holyrood, and George Galloway prowling around Scotland, barely disguising his distaste of the SSPour party has no few enemies closer to home. I have covered many of the points raised by the RCN in their article, and hopefully made my own position clear. Marxists should be working much more closely together on politics and direction, and in the education of SSY members. Our party can only move forward and be successful if it is steered in a revolutionary direction, with our minimum demands more clearly linked to our overall program of changing the way society works. To do this, there must be more dialogue, more understanding and more co-operation between revolutionary comrades. Old differences must be pushed to one side; thankfully, this seems to be happening. Revolutionary socialist politics is not an indulgence, it is a necessity. Any other brand of politics, including parliamentary ‘socialism’ is a betrayal of our own class and a compromise to our opponents. Revolution is a living, breathing movement which is sweeping across Latin America in its infancy, throwing off the reactionary US backed juntas and sparking forest fires of revolt against imperialism and war. The same movement is slowly emerging in Europe, and the SSP is a leading force in this. The future success of our party is in the hands of those who wish to take it forward. The following address was given by James Daly at the 25th anniversary commemoration of the murder by loyalists of leading socialist and republican Miriam Daly, at her graveside, Swords, County Dublin, 25 June 2005. At commemorations like this in earlier years, while the struggle continued, we could think in terms of the nobility of the cause transcending the horror of Miriam’s death, and I could quote James Connolly’s last message to his wife, Hasn’t it been a good life, Lily, and isn’t this a good end? But lately the cause for which she was tragically martyred has slithered down into slapstick comedy, farce and low buffoonery. Trimble with impunity calls Republicans dogs and pigs. War criminal Blair backs Paisley’s theocratic demand that since Republicans have sinned in public they must repent in public. That from an alumnus of Bob Jones University, whose president’s wife, Mrs Bob Jones III, asked for her opinion on something, stated Good book says wife don’t have opinions, husband head of household have opinions . This year, on the 25th anniversary of Miriam’s death I feel there is at least one thing I can do, and that is to restate an important message she never tired of repeating. It was: to beware of and shun so-called conflict resolution , the alleged academic discipline which is in fact an imperialist confidence trick. The conflict resolution agenda requires the obliteration of the obvious truth about the nature of the struggle. This has been distorted to such an extent that the inheritors of the 1912 loyalists’ successful threat of civil war in Britain, which was supported by British imperialist finance capitalism, the inheritors of the Curragh mutiny, and of the running of the Larne guns – never decommissioned – by all of which the six county territory was secured, are universally, and without argument from Sinn Fein, accepted as the arbiters of when a decontaminated Sinn Fein can be judged to have become democratic . On John Hume’s side of the conflict the dispute is said not to be about territory but about minds and hearts. There is no such illusion on the other side. The issue of territory has been won and ceded in advance. Some republican publications which are ostensibly in opposition to Sinn Fein show that they are in fact following a similar politics when they invite unionists to use their pages to exhort the IRA to decommission, and when they say that there is nothing wrong with the Orange Order as long as its marches are within its own areas. The Irish people were victims ground down in the end by many years not only of the relentless use in the foreground of the stick of repression, but also of the indefatigable use in the background of the carrot of conflict resolution. The fact that the conflict resolution approach was involved is emerging into the daylight now. It resulted in the majority of the Irish people’s being not only coerced but also tricked into voting yes in a referendum giving up for nothing the principle of national liberation which had been enshrined in articles 2 and 3 of the southern constitution, and into capitulating to John Hume’s politics. Miriam had total clarity about the imperialist use of conflict resolution in Ireland. I will try to briefly restate her message here – in my opinion, that specific part of her anti-imperialist message which brought about her death. Number 6. That the Irish anti-imperialist front rejects a federal solution and the continued existence of two separate states in the six and 26 counties as a denial of the right of the Irish people to sovereignty and recognises the only alternative as being the creation of a 32 County Democratic Republic with a secular constitution. Number 7. That the Irish anti-imperialist front demands the convening of an all Ireland constitutional conference representative of all shades of political opinion in Ireland for the purpose of discussing a Democratic and secular constitution which would become effective immediately following a total British military and political withdrawal from Ireland. Seamus always stressed the presence here of two points of principle: first that the British would be excluded from such a constitutional conference; and second that the British must actually withdraw; perfidious Albion must not merely state an intention to withdraw, as they did in the declaration which John Hume later obtained – with the rider of course that they would stay as long as the unionists wanted them to; which is till kingdom come. His rejection of the two state or federal solution went with his rejection of that (Belfast) ring-road socialism which was always acceptable to practitioners of conflict resolution. 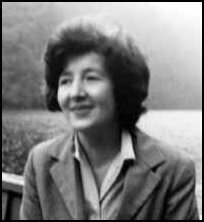 Miriam became aware as early as 1972 of what she called a plague of locusts, of people – often on first name terms with British and American ministers and officials – who appeared variously as academics, social workers, journalists etc. They were all equally anxious to divert the Irish national liberation struggle away from anti-imperialist national and class analysis, and from political demands on an all Ireland basis, and to redirect it into the management of what was described, to Miriam’s fury, as an ethnic struggle in the six counties between Irish Catholic nationalists and British Protestant unionists. Unlike Seamus Costello’s projected constitutional conference, conflict resolution meetings must necessarily be chaired by representatives of the imperialists in the guise of honest brokers. But they cannot allow any consideration of history or of colonialism. They insist on formal neutrality (though of course there cannot be real neutrality) not only from the chair but from the participants, and they do not allow discussion of anything in terms of moral categories such as justice or oppression. Republicans must put themselves on a par with loyalist rapists and sexual mutilators, and those who throw urine over eight-year-old girls trying to go to school. The aim of conflict resolution is not justice but the ending of disturbance of the peace in the form of resistance to the status quo. Its method is cynical bargaining in relation to relative strengths and threats. Since it is accepted that the conflict is within the six counties, the alternative to submission by the nationalists would clearly be, on the part of the unionists who are stronger and more ruthless, a violence unlimited to the point of psychosis – a violence like that of the Israelis against the Palestinians, as the Israeli flags flying in loyalist areas make abundantly clear. Therefore the British must remain to placate the unionists and thus protect the nationalists. Here today we remember Seamus’s and Miriam’s heroic attempt to prevent that outcome, and we face the tasks left to us by those who did not take their road. Tony Blair managed to avoid saying that the hand of history was on his shoulder, but even without that there was enough overblown bombast from London, Washington and Dublin to reward the Provisional republican leadership for their 28th July announcement effectively disbanding the IRA. No-one managed to outdo Alex Reid, the Catholic priest who lubricated the Provisionals’ transition from revolutionary nationalism to co-operation with imperialism. He claimed that the statement marked the end of the centuries of Irish resistance to colonial rule! The Provisional leadership did their bit to add to the bombast, with simultaneous announcements from the four corners of the earth and a special website where cheesy smiles from their collection of TDs, MLAs, MPs and Euro MPs subliminally suggested that the three decades of death and pain could be justified by the electoral gains of their political current. Concessions from the British tried to keep the party mood going – wanted republicans (on the run) would be allowed to return to their homes. Repressive legislation specific to the North will be disbanded – much has now been incorporated into the general framework of law in Britain itself. Prominent British military installations were dismantled. More troops will be withdrawn, leaving a still adequate garrison. The British promise to disband the Royal Irish Regiment, descendent of the infamous B Specials, if the security situation permits and Taoiseach Bertie Ahern has promised legislation to allow northern representatives to speak in the Dail on matters directly concerning them. On the streets however the mood among nationalist workers was one of indifference. The road to republican surrender involved the demobilisation and depoliticisation of the mass of their members, retreats by the organisation are telegraphed months in advance and are the subject of secret mass counselling meetings to drain out all the negative feelings of the membership. However there are no real political rewards for their surrender. All the structures and trappings, the comic-opera Stormont assembly and ministerial positions lie in ruins. The Provos surrender because they must, because Tony Blair, following the May elections and the Paisleyite victory, had torn up the Good Friday Agreement and announced to the Westminster Parliament that he was considering a new strategy that would exclude Sinn Fein from power. London, Washington and Dublin now insisted on surrender and had started to apply the whip to force a response. Rita O’Hare, who travelled to Washington to announce the glad tidings, had recently been barred as a warning that the US welcome was beginning to wear thin. Dublin minister Michael McDowell had led a sustained attack on behalf of the Irish government, outing Adams and others as members of the army council and indicating that IRA activity would permanently bar Sinn Fein from a junior role in coalition with Irish capital. Sean Kelly was imprisoned to remind the IRA that most of their members were prisoners out on licence and that they could all be imprisoned at the whim of the British. Kelly was released when the British were informed that that the surrender statement was on its way. In a similar way the fate of three republicans arrested in Colombia and charged with training FARC guerrillas has ebbed and flowed with Sinn Fein’s approval rating in Washington. The surrender statement was quickly followed by their appearance, free in Ireland. The political reward for surrender, to use the word reward loosely, is that Sinn Fein can rejoin the capitalist alliance that designed the Good Friday Agreement – London, Dublin and Washington, and work with them on plan B – persuading Unionism and Loyalism to install Ian Paisley as Prime Minister and agree to include Sinn Fein in the coalition government. The fact that this crazy project is taken seriously, despite being denounced by Paisley at every turn, is a sign of imperialism’s desperation to cobble together a settlement and of the collapse of political understanding in Ireland. The project contains a number of implicit assumptions that, once stated, stretch the bounds of credulity. The first assumption is that the aim of Unionism is to reach a stable political accommodation with nationalism and that it is a rational organisation able to agree and operate such an accommodation. This is false. Unionism does not operate as a political philosophy but as a conspiracy to enforce sectarian division and political and economic power. The old Stormont regime applied across-the-board discrimination against Catholics and used pogroms and all-out state repression to prevent revolt. When that revolt eventually arrived it began to debate a strategy of making concessions to retain power. In over three decades, starting with Terence O’Neill, every leader who suggested concession was overthrown from the right. The British built the Good Friday Agreement around the concept of a moderate unionism willing to do a deal with Irish capitalism and thus ensure the indefinite survival of their sectarian statelet. They got the unlikely figure of Trimble and then his slow fall under pressure from forces to the right of him and now they have the full-blown bigotry of Ian Paisley with Empey, the assassin of Trimble, in supporting role. Now the British have built the present plan around the ghost of moderate unionism. There may not be any moderates about, but there is a widespread recognition that the sheer size of the nationalist minority requires a modification of sectarian rule and some accommodation with Irish capital. Reg Empey made a point of recognising this in his acceptance speech. Behind the scenes Nigel Dodds and Peter Robinson have made similar noises. The idea is that if unionism is placated they will eventually produce some compromise that the republicans can sign up to. However the last 30 years carries eloquent evidence of the inability of unionism to advance any compromise, no matter how clearly this would defend their long-term interests. The present leadership of both the DUP and UUP are the outcome of generations of selection where the road to power lay in toppling the leader who showed the slightest ambiguity in their defence of sectarianism. Behind the false assumption of unionist accommodation is another false assumption – the keystone of the present process – the statement by Britain that it has no selfish, strategic or economic interest in Ireland. It follows that its intention in the present process is to withdraw from Ireland, that it will not tolerate Unionist obstruction and that, if Unionists refuse an accommodation, the British will punish them. The British fought a 30-year war which cost billions and have now spent another decade of intense political activity trying to get their ramshackle deal to work. It is worth this amount of effort because the northern economy is essentially part of the British economy and, however much it costs the state, levels of profit at the level of individual firms are very healthy, because the British retain a very significant stake in the core elements of the Southern economy, because a stable capitalist Ireland is a central concern of the British state and because Britain, as the former colonial power, is looked to by the other powers to guarantee order in this part of the world. The mechanism by which Britain meets its political objectives is the occupation of part of the Island and that in turn depends on the active support on a mass unionist base that legitimises the occupation. This in turn means that, in every situation where a unionist leader suggests any level of accommodation with nationalism, the British conciliate the right wing. They tried to save Trimble by bending the Good Friday agreement to the right. Each concession merely emboldened the ultra-bigots and left Paisley and Empey as the leadership of the DUP and OUP respectively. Are we to ask which one of these is the moderate? This has very direct implications for the coming political negotiations in September and January. They are not in any sense a matter of laying down the law to Unionism, of forcing them to accept reform or of punishing them. What is planned is that the British will create an environment where the Unionists will feel able to agree to some form of coalition government. This in turn will involve moving further from the Good Friday model and towards the preferred unionist models of either an assembly without government, where the sectarian groups lobby the British, or a giant county council with a majority unionist leadership and nationalists in committee chairs. This British strategy is based around a further assumption, one that they don’t believe themselves. That is that it is duplicity and intransigence by the Provos that have caused the difficulty in the implementation of the Good Friday agreement. This again is false. For example, the British routinely talk of the £26 million Northern bank heist as having brought down the last attempt to form a local government. In fact the heist occurred after Ian Paisley had exploded the agreement. The same mechanism has occurred at each of the numerous crises that finally demolished the Good Friday Agreement. The unionists refused to implement the deal and the British, using the ‘Independent Monitoring Committee’ set up by themselves, provided cover by seizing on some, often quite routine, elements of IRA activity as post facto justification for unionist intransigence. However this British assertion is key in understanding how the mechanism of normalisation will proceed. Political negotiations will be held to construct a local assembly in the North of Ireland with the aim of placing the arch-bigot Paisley, or his nominee, in the post of first minister. The foundation of these talks will be the surrender of the IRA. However the British have already indicated that the words of the declaration will be meaningless on their own. The future of the negotiations will depend on the actions of the IRA in disarming, winding up military structures and activities and ceasing money-laundering activities. The final word on these issues will lie with the British, through the mechanism of the IMC. Given that the IRA will depend on British cover on a number of issues – the armed section retained to provide protection for the leadership, the army structures needed to ensure the loyalty of volunteers and the financial activities that will need time to be legitimised – it should be self-evident that the British will be in total control of the negotiations and their outcome. Their immediate aim, already expressed, is to explore what is meant by ‘democratic means’. The IRA are too deeply penetrated to represent a significant military threat. The importance of the surrender statement is its unconditional recognition of the democratic credentials of the British colony. At the moment this is a passive recognition. The next step is active support of the state forces, membership of the police and of the policing boards. Police chief Hugh Orde issued this call immediately after the IRA statement, somewhat indiscreetly confirming that Sinn Fein are already secretly in contact and co-operating with the police at every level. The fact is the republicans have already begun to fulfil a number of policing roles. No sooner were the elections over than both unionist parties indicated that the ‘right’ to sectarian provocation with Orange marches was a precondition to further talks. Immediately local committees in Derry reached an ‘historic agreement’ accepting an Orange march in the town. The republicans policed the violent reaction of nationalist youth, as they now routinely do in Ardoyne. There are difficulties for a republican police. A feud amongst loyalist groups over control of drugs in which three people have died throws into sharp relief the unremitting sectarianism of the northern state and the continuing sectarian privilege of the loyalist groups. The rationale for official indifference is that there is no question of these groups being in government, but this ignores the fact that the British pump millions of pounds into their coffers to buy them off and provide a whole network of ‘community’ structures to give them political influence. In the ongoing feud a group of loyalists were able to take over a Belfast estate and force families out while the police looked on. The fact that the Garnerville estate is beside the police headquarters underlines the immunity the state extends to loyalism. The call from police, unionists and the British is for conciliation – that is that criminal gangs should divide up drug zones by negotiation while the state stands aside. A permanent atmosphere of sectarian intimidation permeates the North. Political unionism bedecks the local councils with Union Jacks. The loyalist groups repeat the exercise on the streets and follow it up with low-level ethnic cleansing. 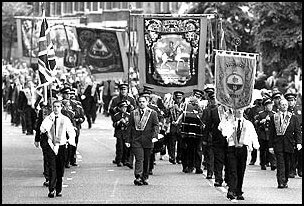 Just how little northern society has changed was shown by the proposal to hold a republican march in Ballymena, a key Paisleyite base. The proposal was followed by a series of bomb attacks on local Catholic businesses and sectarian graffiti at local churches. The British, through the Parades Commission, having supported thousands of coat-trailing Orange marches, directed that the march stay within the confines of the only nationalist estate. Sinn Fein’s willingness to conciliate unionism in the interests of the bigger picture and the embryonic police structures they have set up in nationalist areas indicates that they will increasingly find themselves in conflict with their own working class base. The fourth assumption within the normalisation process, the one the republican leadership believe themselves, is that it is a process of reform. They understand that they have agreed to support the sectarian colony in the North but believe that it is to be a reformed colony, where a share of sectarian rights for nationalists will, over time, translate into a united Ireland. If this were the case then the promise to disband the Royal Irish Regiment would be of great significance. The removal of what is essentially a Protestant militia within the British army would significantly weaken the Northern state. But this is not the experience provided by the Good Friday Agreement. The promise that the police will in the far future be 50% Catholic still stands but has been eroded around the edges, with the pledge to disband the RUC reserve abandoned and the civilian workers within the police excluded from the deal. More significantly the police still fulfil their traditional role, with the standard sectarian reflex to Orange marches and loyalist intimidation. Hugh Orde recently announced that Orangemen have the right to walk and nationalists the right to ineffective protest – word for word the policy of the Orange Order. Police policy is that intimidation involving loyalist flags fixed at the victim’s doorway is not a policing matter but ‘community relations’. Moreover, if you remove the flag you are committing theft and must return the flags to the sectarian aggressors! With this background it is likely that the disbandment announcement is a ploy by the British – in one stroke convincing republicans that real gains are on offer and on the other hand sending a wakeup call to Paisley that loyalism needs to be represented at the September talks. You only surrender once. Only for one day do your former enemies clap you on the back and congratulate you on your statesmanship and far-sightedness. Within a few days it is business as usual. The future looks grim for the Provisional leadership. The British have them by the throat in the negotiations, able, through the IMC, to indicate at any time the status of the IRA ceasefire and to reward or punish Sinn Fein accordingly. Irish justice minister Michael McDowell has already indicated that there will be no letup in the massive financial investigation into IRA affairs in the 26 counties. Most significantly of all Taoiseach Bertie Ahern issued a statement reiterating his view that their would be no united Ireland in his lifetime. Ahern is not making a prediction or stating an opinion. He is enunciating the policy of southern capital, now determined to remove a united Ireland from the agenda and to underline for Sinn Fein exactly what they are signing up for in their subservient relationship to Dublin, London and Washington. The Iraqi Kurds are the only ethnic group that is considered 100% loyal to the US–UK imperialist occupation of Iraq. So much so that when the US-backed Governing Council tried to introduce a new flag for Iraq, it included a yellow line across the flag that was meant to represent the Kurds. No other ethnic group in Iraq was represented in symbolic form in the flag, though outrage at the flag’s similarity to the Israeli one caused it to be rejected by most Iraqis. America has no better friend than the people of Iraqi Kurdistan , it began, stressing how safe US occupation troops are in the Kurdish north, as opposed to the abodes of those nasty Arabs. How has it come about that Iraqi Kurds are the only truly reliable collaborators in Iraq? Kurds are found straddling the international borders of Iraq, Iran, Turkey and Syria. Kurdish tribesmen were bombed from the air by the RAF in the 1920s following the defeat of the Ottoman Empire. However, Kurds have more recently been locked in conflict with Iraq’s Arab-dominated central government. They also have a history of colluding with foreign rivals of Arab governments in Baghdad. The KDP was founded by Barzani’s father and rebelled against Iraqi leader Abdul Karim Kassem in 1961. Kassem had led the overthrow of the Western-backed Iraqi king in 1958, and it is almost certain that Iraqi Kurdish rebelliousness was encouraged by the West. However, after Kassem’s death in 1963 at the hands of the Ba’athists, the KDP continued its conflict with Iraqi central government, with support from Iran. The withdrawal of support by the Shah’s Iran in the 1970s forced the KDP to surrender to the Iraqi authorities. When the Shah was overthrown in Iran, war with Iraq broke out in 1980 and Khomeini’s Iran began supporting Kurdish rebels in Iraq. By this time the KDP had spawned a large splinter group, the PUK. Its differences with the KDP seem to be more tribal than ideological. Saddam Hussein’s government cracked down viciously on the Kurdish insurgents, amongst other things using chemical weapons against the Kurdish town of Halabja. Large numbers of Kurds fled as refugees to Turkey, especially during the upheaval following the first Gulf War in 1991. Kurdish autonomy under a Western air umbrella developed in the 1990s, but the KDP–PUK conflict turned violent in 1994. There is a saying in Turkey, Use a Kurd to kill a Kurd , and Iraqi Kurds have been encouraged by foreign powers to rebel against Arab rule but also to turn on each other. The tribal nature of Kurdish society helps bring this about. A truce between Barzani and Talabani was brokered by the British government and they prepared for a bright future of collaboration with the USA and Britain as they prepared to invade Iraq. Kurdish pesh merga militias took quite a few casualties as they attacked Saddam’s forces in support of the Americans near Mosul and Kirkuk. The pesh mergas collaborate with the Americans to this day in northern Iraq. What this brief account shows is that Iraqi Kurds have long worked in unison with foreign powers against the Arabs in Baghdad. Sometimes this has come in handy for them, but sometimes it has left them exposed when their sponsors’ policy changed. Numbering only 20% of Iraq’s population, they could yet come to regret their close alliance with Washington. A parallel with another minority springs to mind. In East Pakistan before 1971, a minority called the Biharis tended to support the West Pakistan army when it cracked down viciously on Bengali nationalists. When the latter triumphed with Indian support and founded Bangladesh, the Biharis were treated as traitors. This could be the eventual fate of Iraqi Kurds.